Current root of this Skroch family tree. Data obtained by Martin Pool from his family research "Skrochs in Poppelau, Colonie Poppelau (Klink), Schalkowitz, Colonie Schalkowitz, Chroscutz, Hirschfelde, Sacken, (all in Opole, Poland) - Updated 2014 available for download from this site." There is some uncertainty if this Jacob was born in 1706. 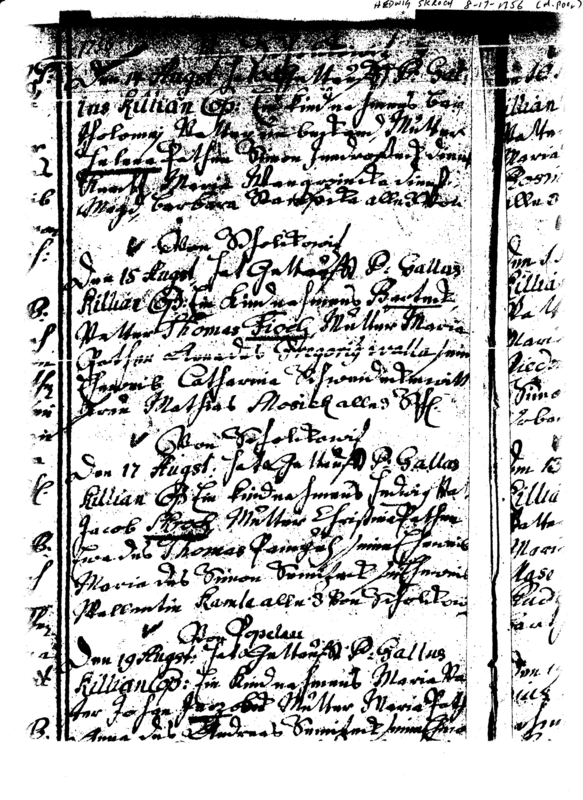 Data from a record "Jacob Skroch b.abt.1706 d.12-14-1783 in Schalkowitz, Opole, Poland" is currently being used as the actual data for this individual in order to construct this website record. I think your Gregor was a military. In the records of Simons brothers (Blasek and Mathias) he was named with the military rank of a "Husar" (Hussar). The brother of Gregor with name Joseph was also a military. This Joseph Skroch is my 6g grandfather . I found also a death-record of a Jacob Skroch in Dec 1783 with age of 77 years. Until today I found no other death-record of another Jacob....Maybe this is our Jacob ! Subject: AW: Michael Skroch - 1753 Baptism - and a break through ... perhaps! I think Jacob is the current progenitor of the Skrochs. Yes first Joanis was written as the Father but changed to Jacobi. It looks like the same script. I had a look to the godfathers/godmother. Everywhere you can find Pampuch, Symitzek and Kamla... So I'll take it as Jacob Skroch. And it's not Ludwig. It is Hedwig Skroch.